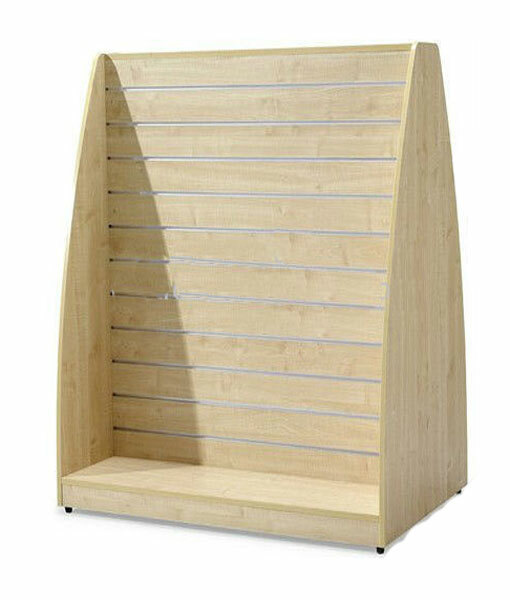 This slat wall display unit is made with high quality geometric patterns on 150 mm groove spacing. 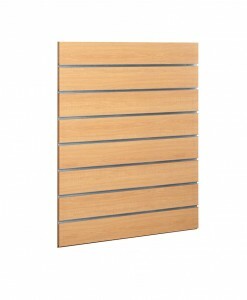 Great for retail and display purposes, this will definitely stand out in your store. With a curved edge design, making it noticeable and attractive. 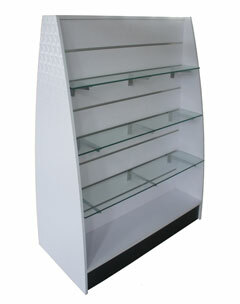 Glass shelves, MDF panels and other accessories are great to use with this display stand. SKU: SWS-GEO-WHITE SWS-GEO-BEECH. Category: Slat Wall Stands. Tag: Slatwall Panels. Aluminium inserts included- These slat wall gondolas are flat packed and are available for next day delivery and come with easy to install instructions. All prices are ex GST, delivery and installation.